2017 Citroen C4 Aircross is a compact SUV of the French automobile brand Citroën. Citroen C4 Aircross was featured at the 2012 Geneva Motor Show. A four-wheel drive version of the 2017 Citroen Aircross is also available It is similar in design to the Mitsubishi ASX and the sister model Peugeot 4008, all three vehicles are manufactured at Mitsubishi Motors. The launch of the market in Germany took place on June 2, While the 4008 was already out of the German model range by the end of 2015, Citroën’s C4 Aircraft was discontinued in March 2017. In other countries such as Switzerland or France, both models are still offered. The Citroën C4 Aircross is a compact SUV based on the Mitsubishi ASX and the Peugeot 4008. The production of the C4 Aircross stops in April 2017 after 5 years of marketing, noting the failure of this car which was a Mitsubishi ASX rebadged. It will be replaced by the Citroën C5 Aircross which is unveiled at the Shanghai 2017 China Fair and then presented in Frankfurt, Germany before being marketed in 2018. Three 2017 Citroen C4 Aircross finishes are available: Attraction, Comfort, and Exclusive. The first offers among others seven series airbags, manual air conditioning, MP3 CD radio and electric mirrors. With the Comfort finish, buyers also benefit from cruise control, automatic climate control, fog lights and alloy wheels. Finally, the Exclusive finish allows customers to have front-passenger and rearview camera assist, GPS, electric and heated front seats as well as 18-inch alloy wheels. 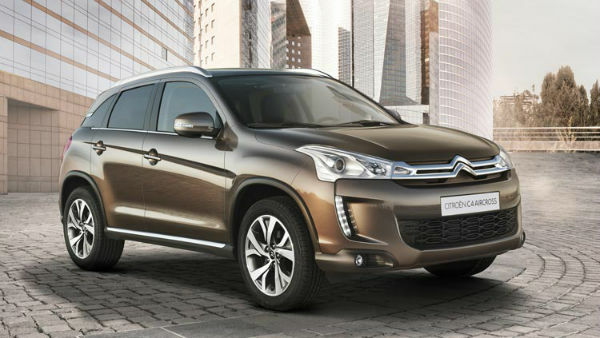 The entry-level is thus symbolized by the C4 Aircross 1.6i in Attraction finish. In the diesel, the compact SUV starts with the HDi 115 Attraction. Finally, the high-end Citroen C4 Aircross is available with the HDi 150 Exclusive. Three engines are available in the C4 Aircross catalog: a gasoline, the 1.6-liter 115-hp, and the 1.6 HDi 115 diesel (original PSA) and the 1.8 HDi 150 hp (original Mitsubishi). Engines can be combined with two- or four-wheel drive transmissions, with the latter being charged in addition.